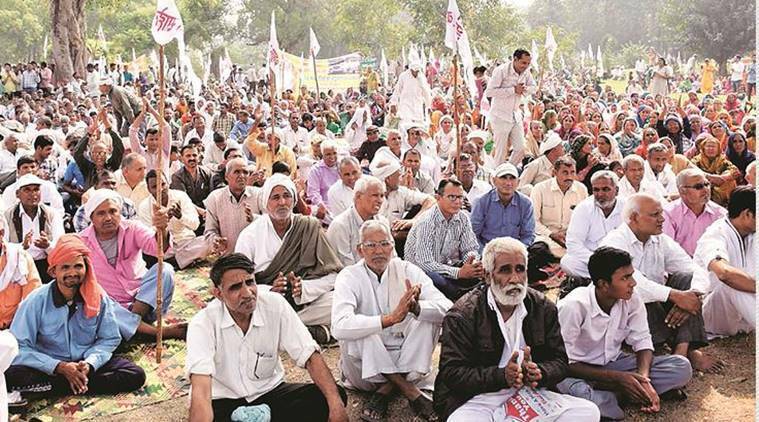 Protesting Haryana Roadways’ employees on Thursday received support from followers of controversial self-styled godman Rampal, who is currently in Hisar jail in connection with death of his six followers. The strike has been extended till November 4. The matter has also reached to the Punjab and Haryana High Court after a lawyer Arvind Seth filed a PIL “raising concern in respect of the inconvenience being caused to the public at large in the state of Haryana on account of the ongoing strike of the Roadways Employees Union”. “We are informed that the office bearers of the Haryana Roadways Employees Union and Haryana Parivahan Karamchari Sangh Union are to appear in a contempt petition… tomorrow (Friday),” said the court on Thursday while listing the matter for Friday and appointing senior advocate Anupam Gupta as amicus curiae in the matter. The court has also issued notice to the government. The employee unions, which had gone on a two-day strike on Tuesday and Wednesday to extend support to the roadways’ employees have now announced to a rally at Jind on November 4. “The rally has been named as “Nijikaran Bhagao, Roadways Bachao (reject privatisation, save roadways),” said Subhash Lamba, General Secretary of Sarv Karamchari Sangh, an umbrella body of 102 unions in Haryana. The roadways employees are on strike since October 16 to oppose the decision of Haryana government in which it had decided to hire 720 buses on kilometre basis. The roadways employees term it an attempt to privatise roadways services offering to contribute a share of their salary if the government was facing financial constrains in buying buses. Terming the allegations as baseless, the government has been stating that it has been trying to add more buses just to facilitate the passengers. About support from Rampal’s followers, Lamba said, “We have not approached any particular organisation or sect but have urged every section of the public to extend support our fight against privatisation of public services.” A spokesperson of Rampal’s Satlok Ashram Chand Singh Rathee claimed that around two lakh followers of their religious sect will participate in the Jind rally. “The employees are not fighting for their self-interest, but to protect the roadways,” said Rathee. A Hisar court had recently awarded life sentence to Rampal under murder charges in connection with death of his six followers who had died because of suffocation and illness at his Satlok Ashram in 2014 during a two-week long standoff between Rampal and the state police.